Are you a right Liposuction Candidate? Unfortunately, not everyone is a candidate for liposuction, and we would be derelict in our duties if we did not talk about this sad fact in more detail. Below, you will find a list of reasons that liposuction may not be the right tool for you and why. Your health and safety is of utmost importance to us, and as much as we love helping you rediscover the healthy and happy person that has been hiding away inside you, sometimes liposuction is not the way to go about it! If you’re looking to liposuction to help you lose a lot of weight, you are going to be extremely disappointed. Liposuction should only be used for contouring the body after you have reached your ideal weight—any more than that could be potentially dangerous to your health. We at Infini have only your best interests at heart, and while we will be thrilled to help you contour away those last few inches needed to help your new clothes fit better, we cannot perform liposuction to help you lose weight. The most you can safely expect to lose from a Liposuction is about 2-3 pounds. We’ve discussed this topic in detail before, but it bears repeating. 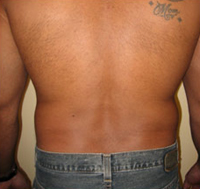 Liposuction is a fat trimming tool only and is not safe to be utilized on patients who are obese. There are other medical options that can be used for the obese, but liposuction is definitely not to be used until after you have reached your ideal weight. Unfortunately, liposuction does not help with excess skin, but there are other options available to you which you can discuss with your physician. Liposuction is not a cellulite removal tool, although it may help improve the affected areas somewhat. No, Liposuction should never be used on pregnant women. Your baby needs that extra bit of “insulation” to thrive, and if you were normal weight before the pregnancy, if you eat healthy and exercise regularly, most of it will disappear after the baby’s birth. After the child is born and enough time has passed, during which you lost most of the weight, then you can consider liposuction. Maintaining a healthy weight is important in treatment of heart ailments, but liposuction will not be a viable option. People with heart issues or clotting disorders need to refrain from liposuction, as the procedure could put your life at risk.